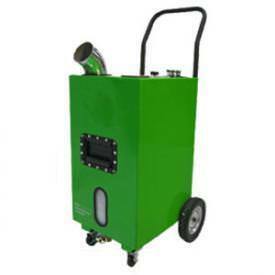 Natural Air Vapor Phase Unit | Pro Chem, Inc.
Broad Spectrum Odor Elimination: smoke, soot, mildew, trauma scene, skunk, dead rodents, chemical, sewage, fuel oil, food (ex: curry), vomit, feces & urine. Mobile: easily moves between hotel rooms, rental properties or around a restoration job site. Equipped with swiveling casters as well as side-mounted “lift” handles for moving in and out of transportation vehicles. Easy to Use & Operate: remove the fill tube cap and fill the tank with a maximum of 2 gallons of Natural Air & Surface Liquid (RTU), plug in and turn on. Safe: the Vapor Phase Unit and Natural Air & Surface Liquid are safer to use than an Ozone Generator and faster than a Hydroxyl Generator. There is no need to evacuate the area being treated while the Vapor Phase Unit is in use. The smaller the droplets, the more Natural Air surface area there is to make contact with and eliminate the odor. These minute, dry vapor particles are able to eliminate malodors in the air and on surfaces while also penetrating deep into draperies, upholstery, bedding, wallpaper, carpets and other surfaces.